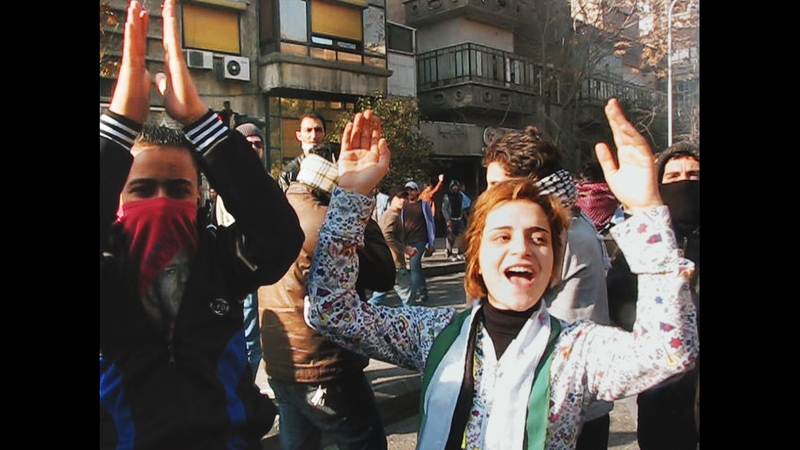 When the Arab Spring reached Syria in March 2011, Obaidah Zytoon (a radio DJ) and her friends decided to join the street protests against the Assad regime and film the dramatic events. The regime’s brutal response and harsh repression crushed the atmosphere of excitement and any hope for change, leading the country instead into a bloody civil war. Obaidah and her friends witnessed the birth of the armed resistance, which, due to the incompetence of the international community, soon fell victim to the rising tide of extremism. A deeply personal road movie, it captures the fate of Syria through the intimate lens of a small circle of friends. Andreas Dalsgaard has directed documentaries for over a decade. Educated in anthropology at Aarhus University and Paris VII, and film directing at The Danish National Film School, his award-winning films have been shown at more than 200 festivals worldwide. Dalgsaard is also a co-founder of the production company Elk Film, and writes and directs fiction for both film and theater. Obaidah Zytoon was born in Zabadani, Syria in 1976. She studied English literature at the University of Damascus before becoming a radio host and producer, working both in Syria and internationally. In 2008, Obaidah produced her first documentary film, Through Women’s Eyes. Following the 2011 Syrian uprising, Obaidah co-founded the Syrian artist-activist collective Waw Al-Wasel, which produces multi-media art and short films related to the Syrian conflict. She has also coached and trained young Syrians entering media and radio production. The War Show is Obaidah’s first film as a director.